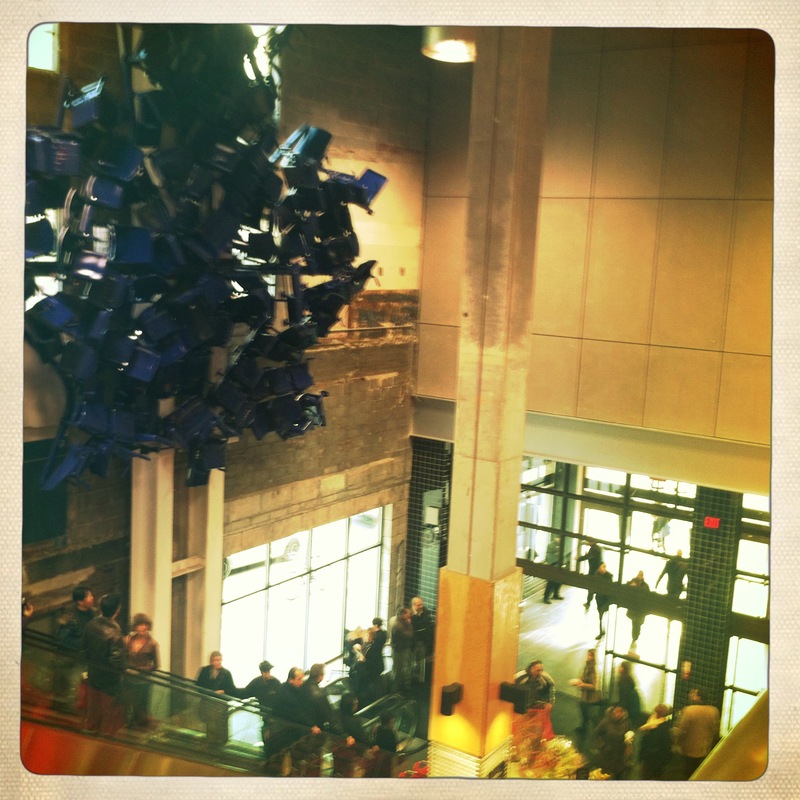 Yesterday the new Loblaws in Maple Leaf Gardens building had their grand opening. There were massive lineups when I drove by in the afternoon so I decided to save my trip for today. Smart hockey, as my friend, Michelle, would say. Everything that you do that is strategically advantageous is “smart hockey.” It was smart hockey for her to go to teachers’ college and smart hockey to buy that amazing couch from Biltmore that will last forever and go with any decor. I hardly ever pull a smart hockey move as my timing is always off. My life is a series of mis-steps, misguided decisions, and poor planning. Which is why I get so many parking tickets. I have a totally different life in a parallel universe where I am a successful cartoonist slash animal rescue foster parent, and wife of Vince Vaughn. The smartest hockey trick I have pulled in recent years was wearing a Tena pad to the beer festival last summer. And again today, that was totally smart hockey move to avoid the opening day frenzy and go mid-morning so I actually got a parking spot in the lower level. Free parking when you spend $18 or more! Personally, I’m not attached to Maple Leaf Gardens as a hockey temple since the only time I have been inside was for a Midnight Oil concert back in 1989. Torontonians find that odd but I’m not from here! I have been inside the Montreal Forum, also an ex-temple of hockey to The Habs. Okay, I have never been to a hockey game. I have seen the Beach Boys and David Bowie. But I have paid my hockey dues sitting in local civic centre arenas all around the province of Quebec, watching my older brother play Pee Wee, Bantam and Midget or however long it went on before he broke his leg and discovered girls. Whenever I smell Thrills gum, I think of hockey arenas. And when I think of hockey arenas, I think of one of the moms on my brother’s team that used to sit in the stands, with her bouffant black beehive, smoking a cigarette, yelling with her booming, raspy voice every expletive known to mankind. She taught me half my vocabulary. My mentor. I can’t think of a better way to preserve the memory of the Gardens than to build a giant supermarket where people can go every day and breathe new life in that great building. I think Loblaws did an amazing job setting this up. There is a giant installation of the actual seats on the side wall by the escalators and a mural by the carts. There are little areas for specialty items, and place for eating, and then the regular aisles. I always wondered where people who lived downtown went to get groceries. Did they go to Rabba or Mac’s for Fruit Loops and milk and then have to trot down the street to Shoppers Drug Mart for Axe Body Spray? How tedious. Now the auto-less central urbanites can shop in one spot and go to the LCBO upstairs. Because of the layout, it still feels like a bunch of different shops so it doesn’t seem so Big Box-y. Gay villagers, the target consumer, don’t like box. Smart hockey, Loblaws, smart hockey indeed.